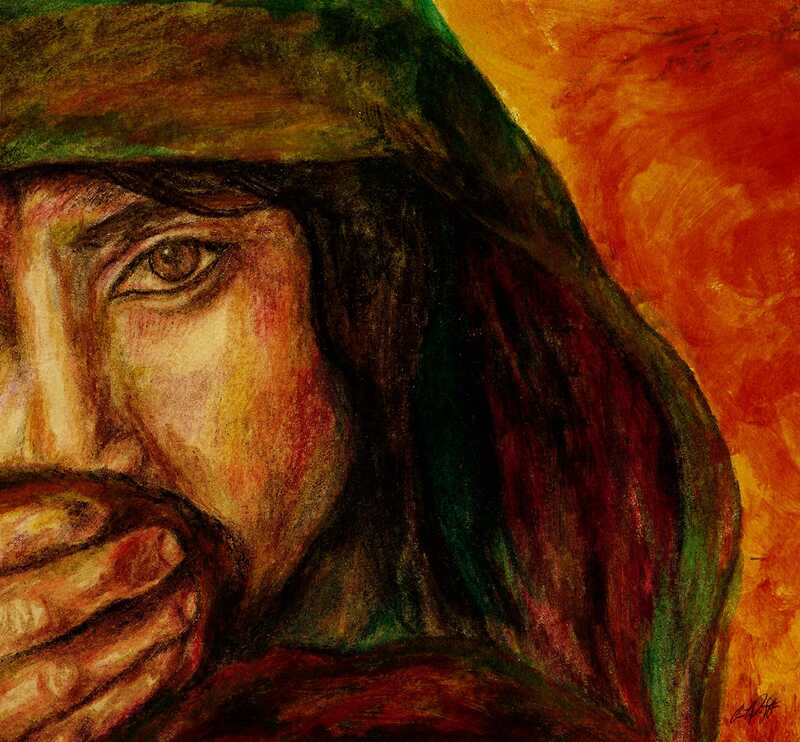 On August 22nd, the Varvid team joined Faithlife for their Logos 7 Bible Software debut. Although Faithlife has a product launch about every two years, this year marked their first livestream experience! 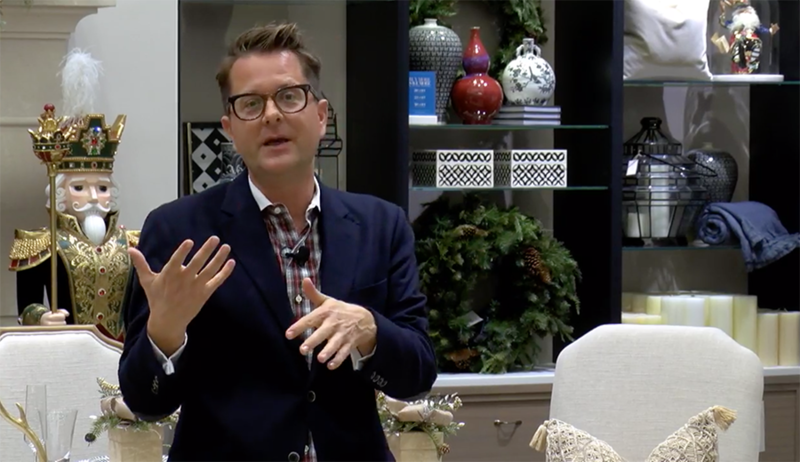 “The live event increased the anticipation leading up to the re-opening of the product website,” said Brian Russell, Faithlife’s Video Producer. Product launches are one-time events that generate a sense of urgency, and live streaming promises direct involvement with the product’s brand and creators. 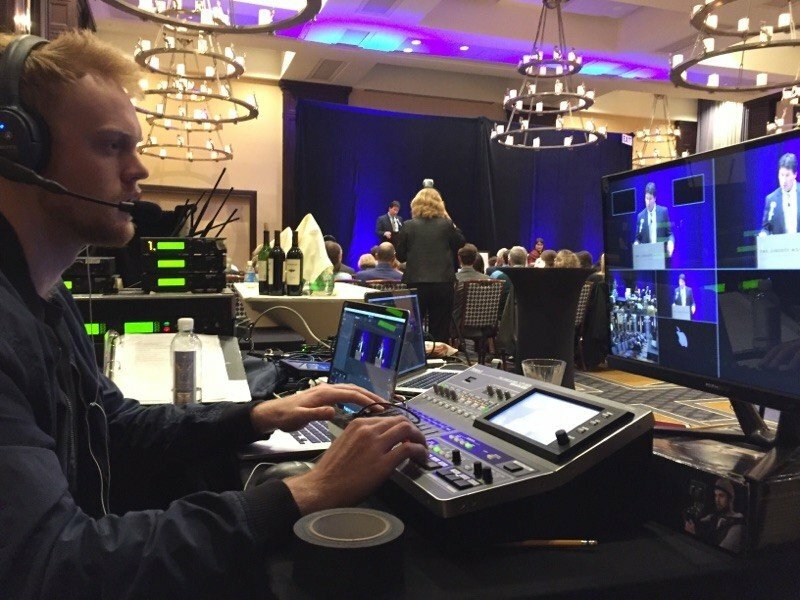 This is why Faithlife’s webcast was able to attract 879 simultaneous viewers at the peak of a four-hour broadcast. 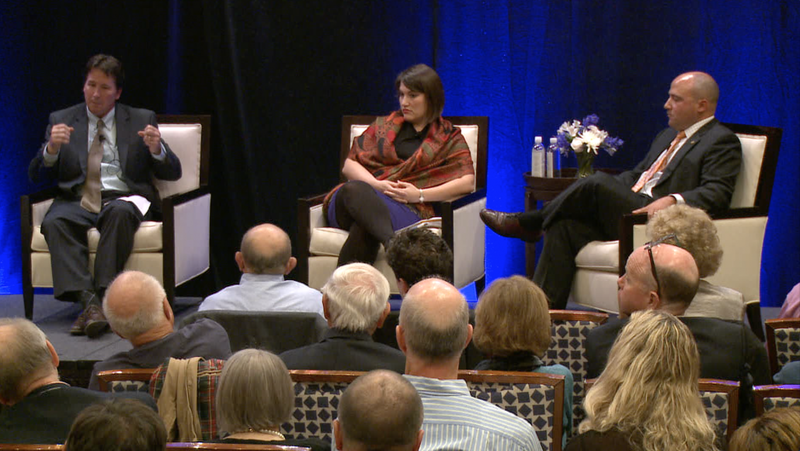 They offered their motivated viewers the opporunity to access new tools, watch demos, and ask questions about Logos 7. Anyone with an internet connection is able to access a live broadcast, which gives brands and opportunity to expand their reach. For example, Faithlife’s livestream captured the interests of people living anywhere from Arizona to Ukraine. Live content gives an individual, no matter their location, the ability to go “behind the scenes”. Certainly, viewers value the chance to see the ins-and-outs of a product and its’s business. “Comments [made] during the broadcast suggested that our audience was eager to hear about the software product we were announcing. 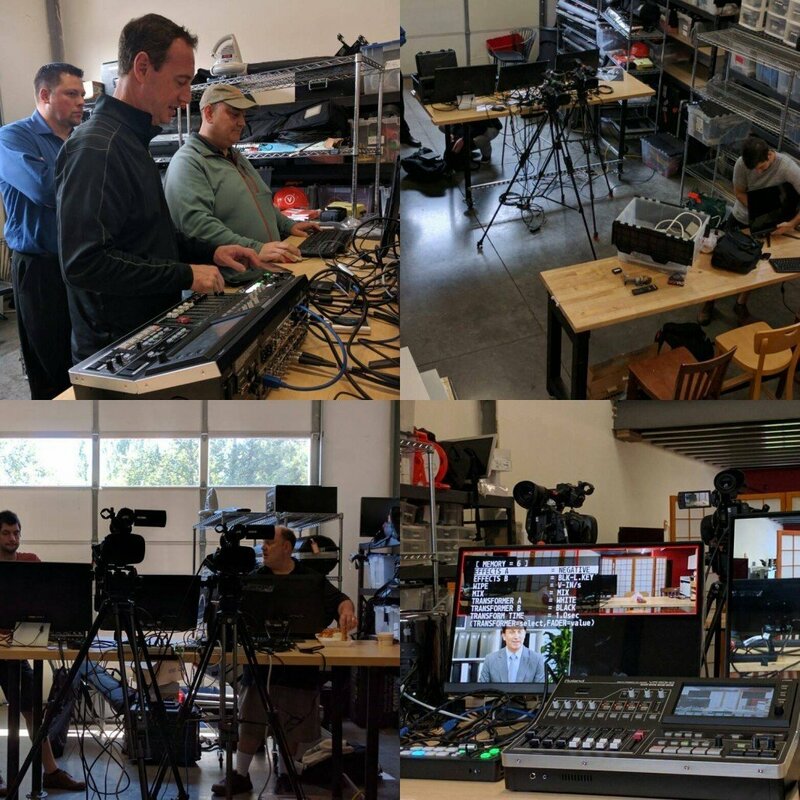 Within the livestream, we announced the new features and premiered the accompanying videos along with interviews and live demonstrations of the product.” Said Brian Russel, the Video Producer at Faithlife that oversaw this project. 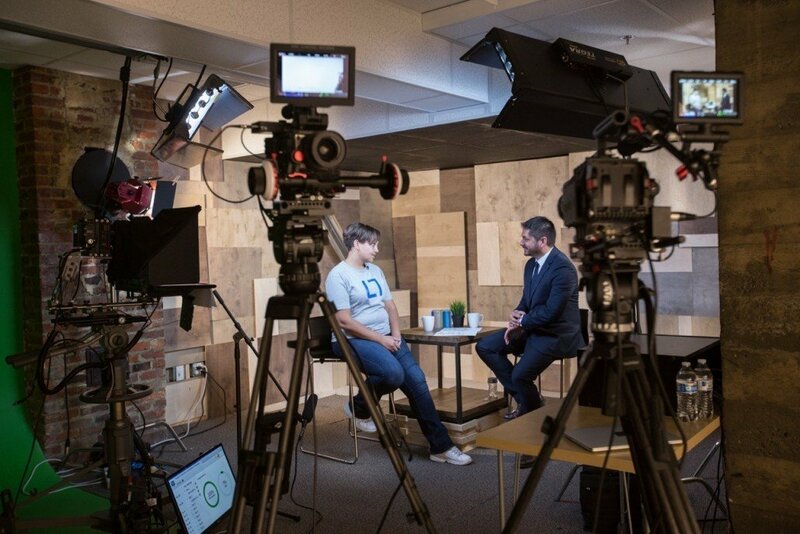 Curiosity attracts viewers to a livestream, but viewers stay engaged when a human connection makes them feel valued. Engaging an audience is accomplished through interactive content creation. 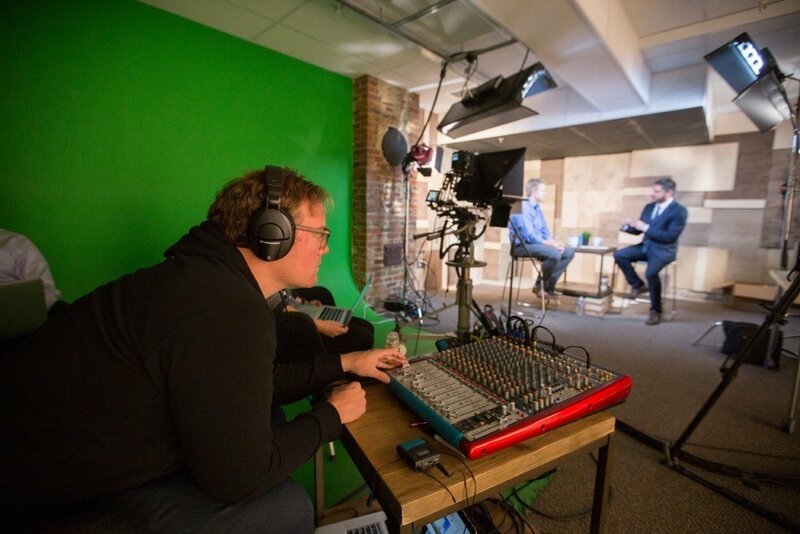 Faithlife offered their viewers an interactive experience by using two studio spaces that produced different content for the broadcast. One studio served as an interview station where creators and developers discussed the benefits and answered questions about Logos 7. In the second studio, a single camera and computer source streamed a demo of the software. 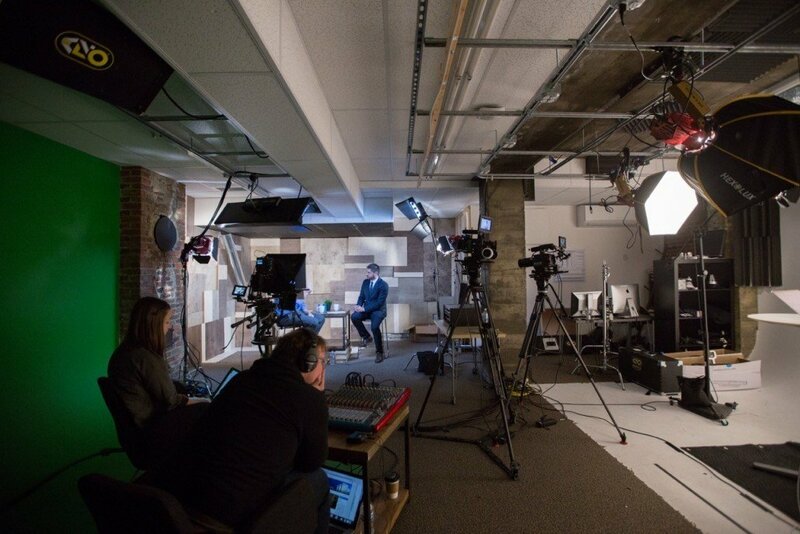 Utilizing these two studio spaces connected the remote viewers with Logos 7, and to those working “behind the scenes”. 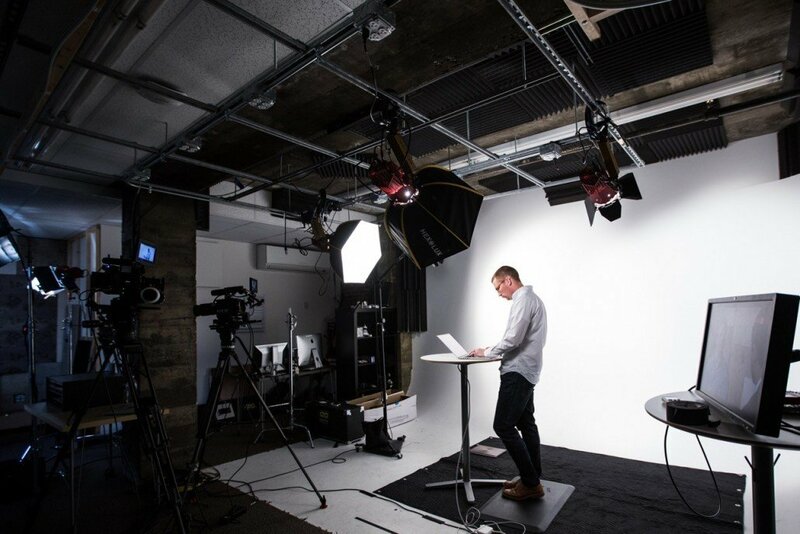 “Working with Varvid went smoothly, and sharing the technical responsibility with them meant I could turn my attention to the content,” Russell said. 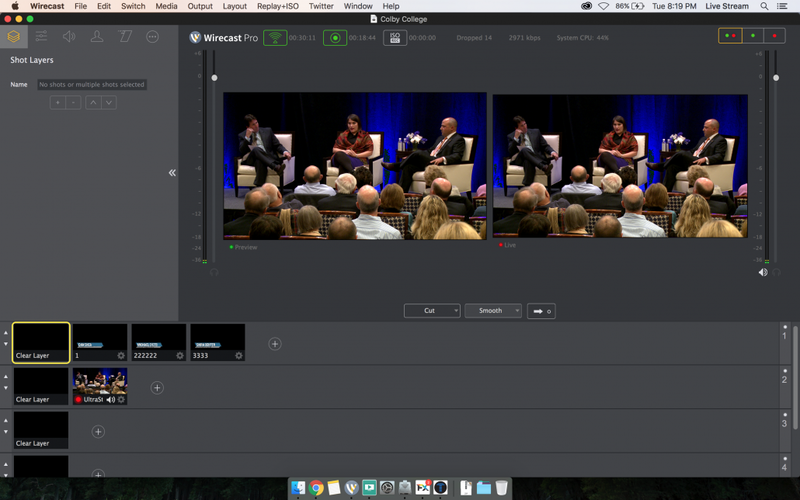 Livestreams connect businesses to an international, remote audience. What makes them successful is offering viewers a one-time event with human interaction and engaging content. To see how Faithlife managed, you can see a recording of their Logos 7 Software broadcast here. Varvid recently produced a series of videos highlighting Samsung KNOX – a new Android-based security platform specifically designed to separate and manage personal and professional data. Samsung KNOX offers comprehensive protection against malware attacks and hacking with multi-layered security and industry-leading device management capabilities. 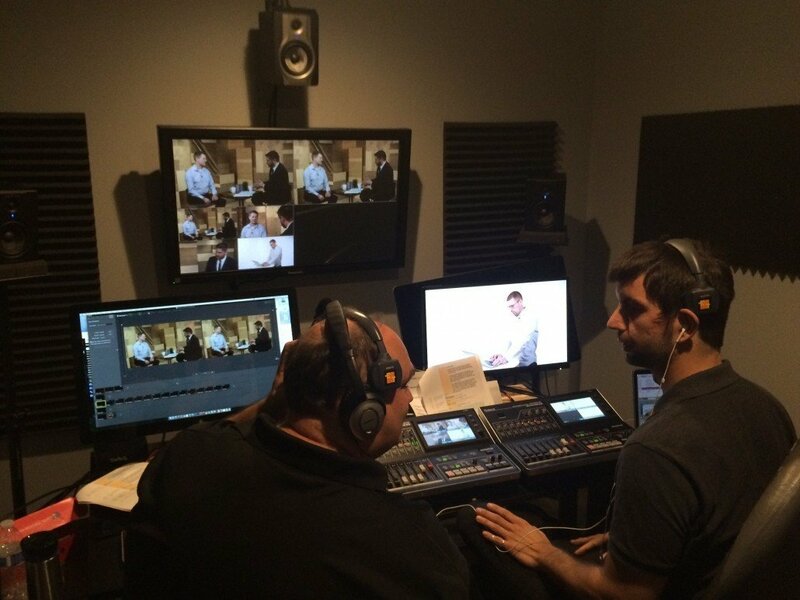 Varvid’s crew captured footage at Samsung offices in San Francisco, San Diego, and Santa Clara, including interviews and B-roll vital to each project. 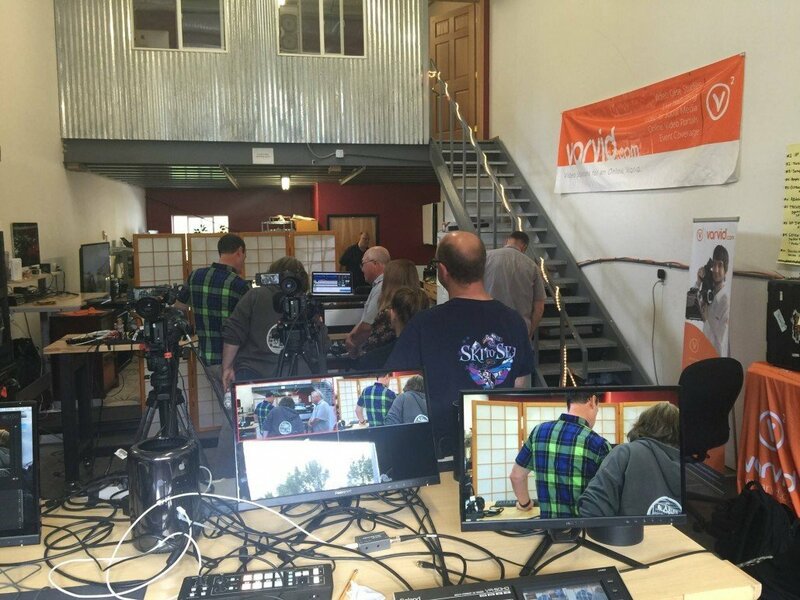 At Varvid headquarters in Bellingham, Skype calls were captured from Samsung offices in South Korea, Abu Dhabi, India, and Washington DC. 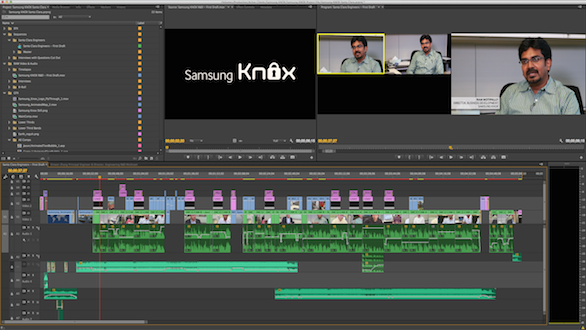 Varvid’s editors worked closely with a Samsung Marketing representative to turn the projects around quickly. Colin Dalvit added 2D & 3D animated opens and maps to help add to the overall production value. The videos were a very successful and integral part of the Samsung presentation and as a result, Varvid has been recognized as a Preferred Provider for Samsung Telecommunications America. Click here to view our video presented at the 2014 Mobile World Congress. 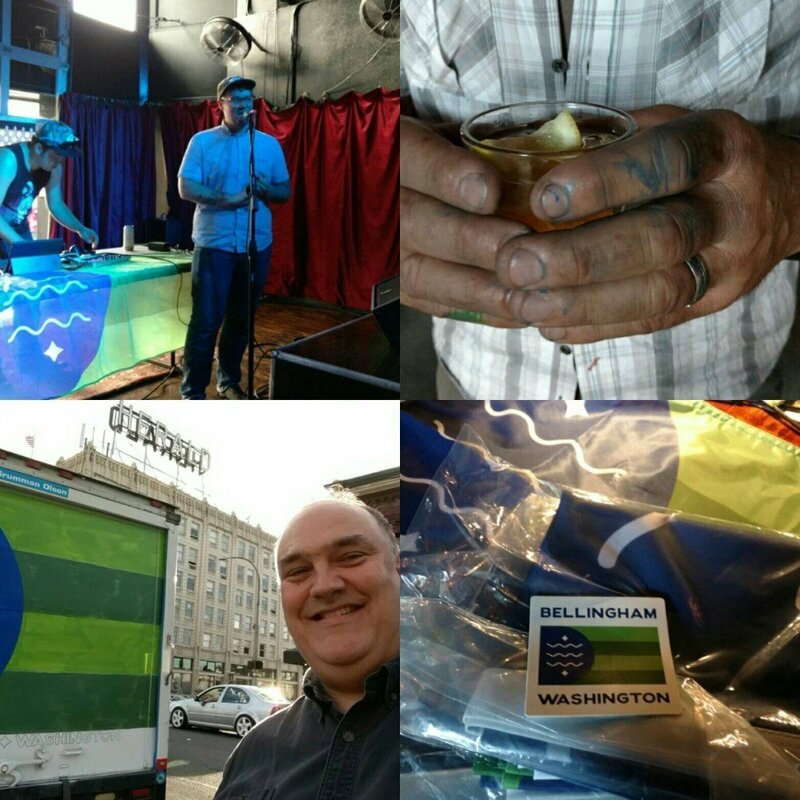 Varvid is excited to showcase two amazing local Bellingham artists at the upcoming art walk, put on by the Downtown Bellingham Partnership. On Friday, February 7 at 6:00pm PST Varvid will be hosting mixed medium artist Courtney Starks and live streaming music from the band The Prozac Mtn Boys. Courtney Starks is a technical artist and software developer, as well as a fine artist. It is her objective to observe an idea or invention of another, and convey it effectively to an audience through creative and elegant design. The Prozac Mtn Boys, as their name suggests, offer an uplifting, therapeutic mixture of traditional, bluegrass and modern music. Composed of musicians from Washington State’s northernmost counties, The Prozac Mtn Boys combine bluegrass instrumentation with rich vocal harmonies to create a surprisingly familiar, intimate blend of yesterday and today. From Bill Monroe to Bob Dylan, from The Beatles to The Grateful Dead, no music is safe from The Prozac Mtn Boys. 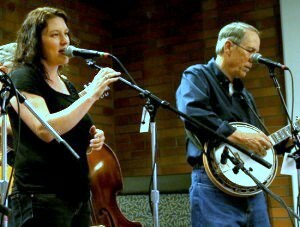 The Prozac Mtn Boys band members include: Lauren Sult (vocals) Andy Friedlander (guitar), Ted O’Connell (mandolin, harmonica), Larry Sult (banjo), Keith Fredrikson (bass), and Arielle Luckmann (fiddle). Join us at Varvid Headquarters during the first Friday of every month for the Bellingham Art Walk from 6 – 10pm PST at 1319 Commercial St. #201.
https://varvid.com/wp-content/uploads/2015/11/logo-light.png 0 0 aaron https://varvid.com/wp-content/uploads/2015/11/logo-light.png aaron2014-02-04 15:25:292017-02-10 14:25:31Join us for the Bellingham Art Walk Friday, Feb. 7!